Matte PR announces representation of leading Executive Presence Training firm Corporate Class Inc.
Corporate Class Inc. has selected Matte PR to spearhead the launch of its new White Paper, by president and founder, Diane Craig titled ‘7 Business Benefits of Executive Presence Training’. 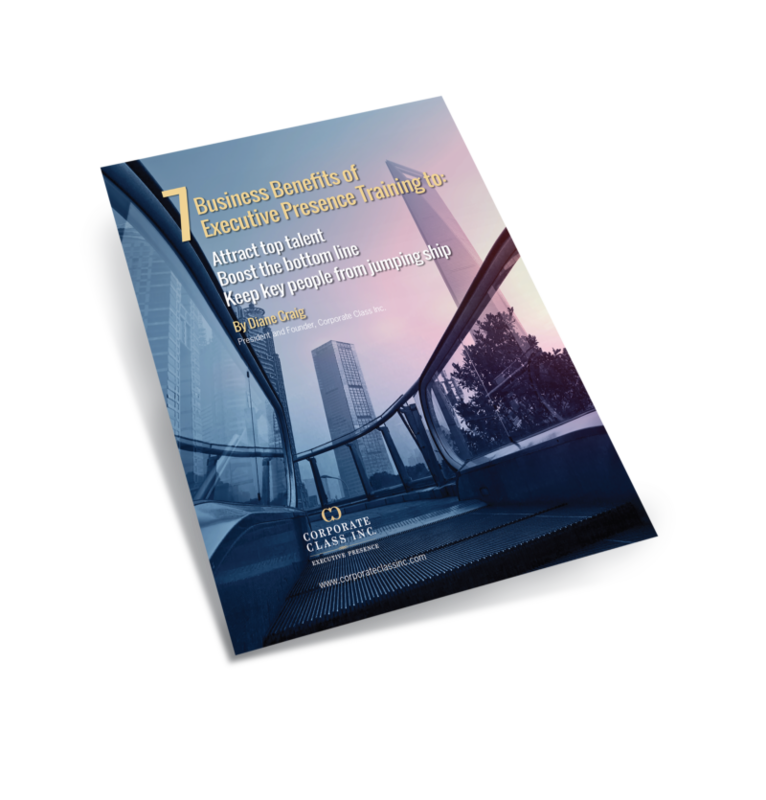 The White Paper reveals insights into the business benefits of Executive Presence Training gathered over a 30 year career working with C-Suite executives, high-profile political figures, top-tier sales professionals and high-level university graduates. Corporate Class Inc. is recognized as a global leader in Executive Presence, Leadership Presence and Board Presence. Matte PR will work with Corporate Class Inc. to implement a Canadian public relations program, including media relations, strategic counsel and influencer relations. Diane Craig is an expert at helping organizations and individuals make strategic micro-improvements that have a drastic effect on their professional development. The company firmly believes that Executive Presence is neither exclusive nor elusive, and achieves results by helping clients develop skills in areas relating to building relationships, office politics, reputation management, leadership qualities, making effective presentations, personal coaching, mentorship, career development, choosing a career, business networking, working a room, business dining, personal branding and professional attire. The Corporate Class White Paper is now available. Click here to download your copy. Follow Corporate Class Inc. on Facebook, Twitter and Instagram and join the conversation with #CCIWhitePaper.